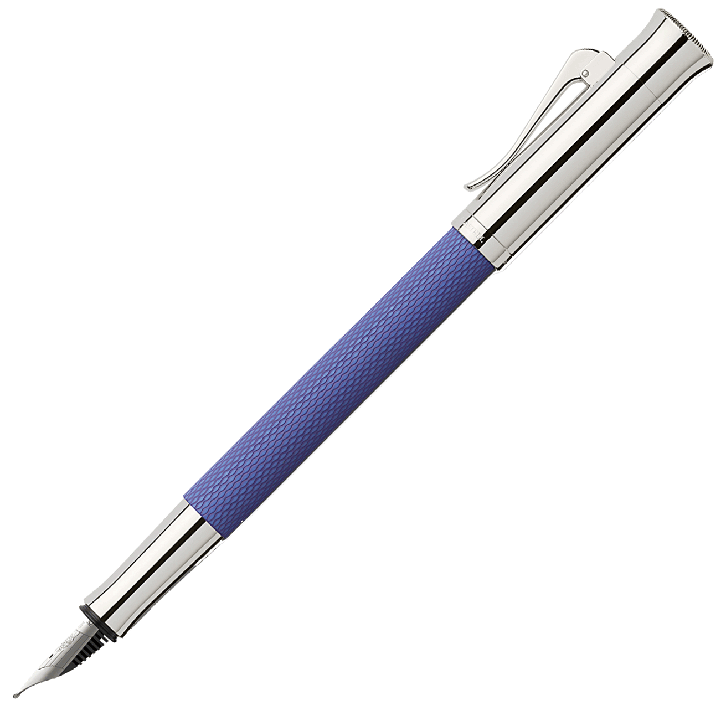 Luxury ‘Guilloche’ fountain pen in indigo (blue) and rhodium, by Graf von Faber-Castell. 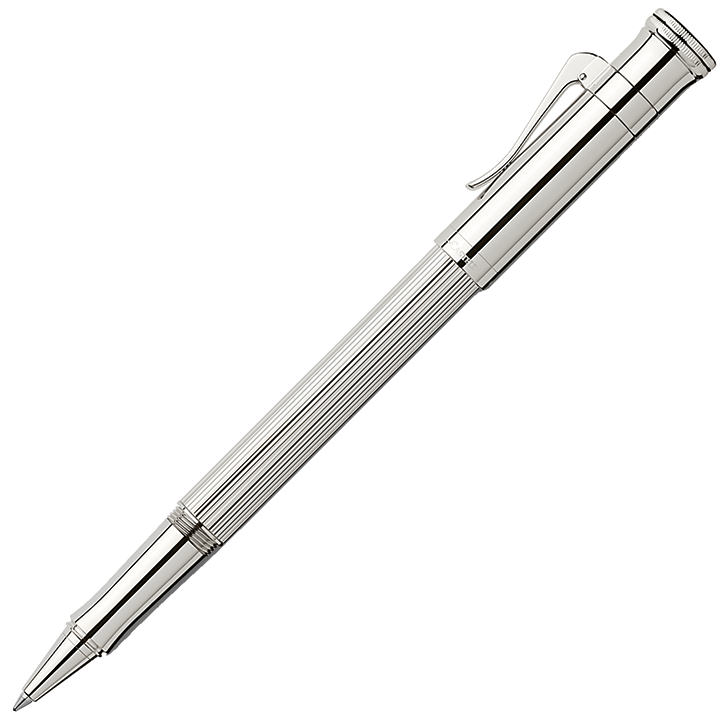 This fountain pen has a high quality layer of rhodium on the metal cap, clip and grip zone. The barrel is made of precious resin, which is individually engraved with the guilloche pattern, then hand-finished during a series of lacquering and polishing stages. 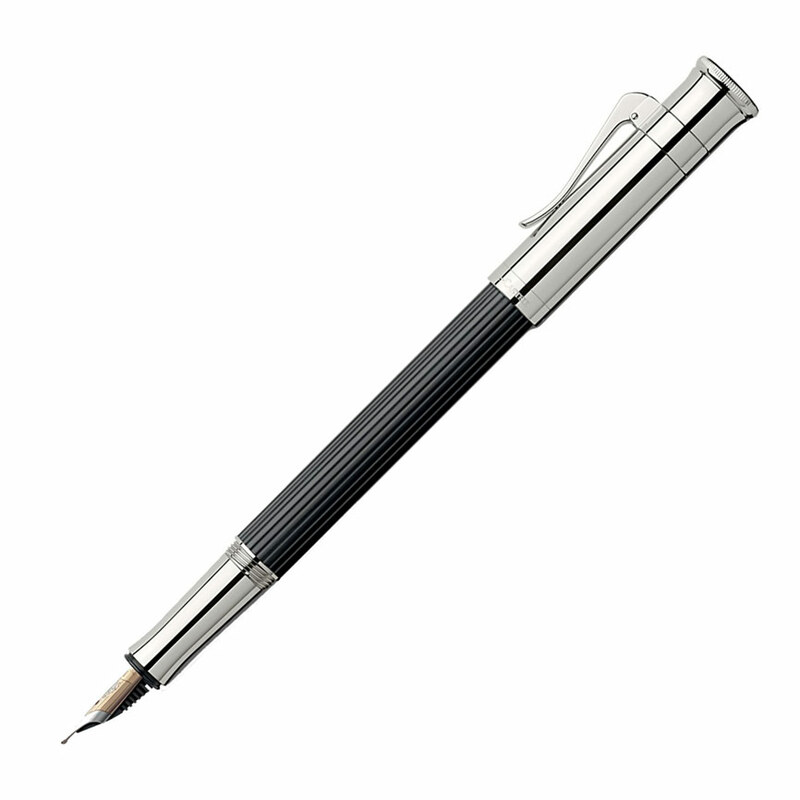 As with all Graf von Faber-Castell fountain pens, the nib is made from 18-carat gold with an iridium tip although the Guilloche fountain pen nibs are also rhodium plated on top. Manufacturing such nibs is an elaborate process involving over 100 steps, most of which are carried out by hand including the final stage of ‘running in‘. 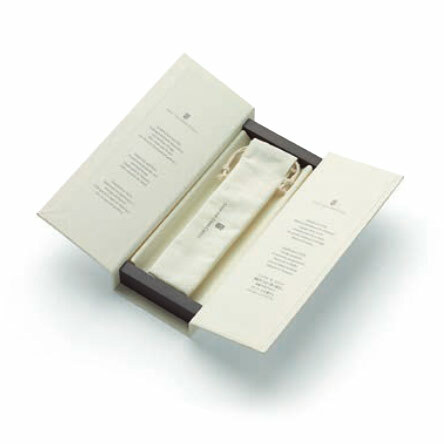 Several nib widths and styles are available so, if purchasing, please use the drop-down list to choose your preferred option. 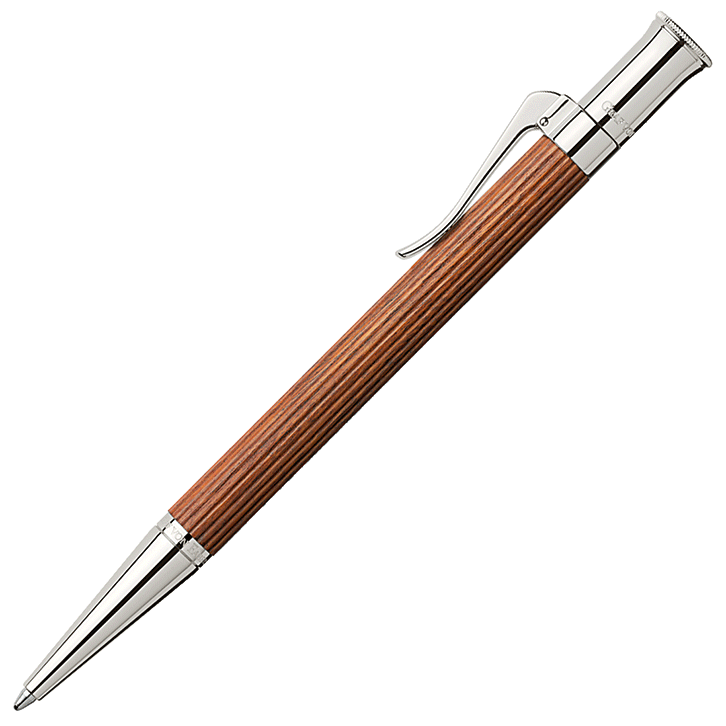 Guilloche luxury fountain pen with an indigo blue barrel, by Graf von Faber-Castell. 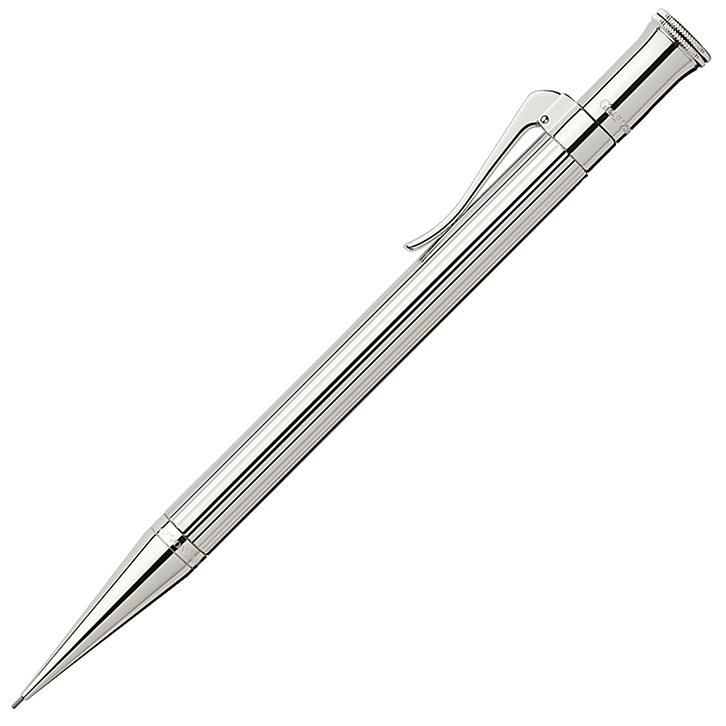 This beautiful writing instrument features a high quality layer of rhodium on the metal cap, clip and grip zone. The coloured barrel is made from a very tough material, known as precious resin, which is individually engraved with the guilloche pattern, then hand-finished during a series of lacquering and polishing stages. The craftsmanship involved produces writing instruments which are unique works of art; no two pens are completely identical. 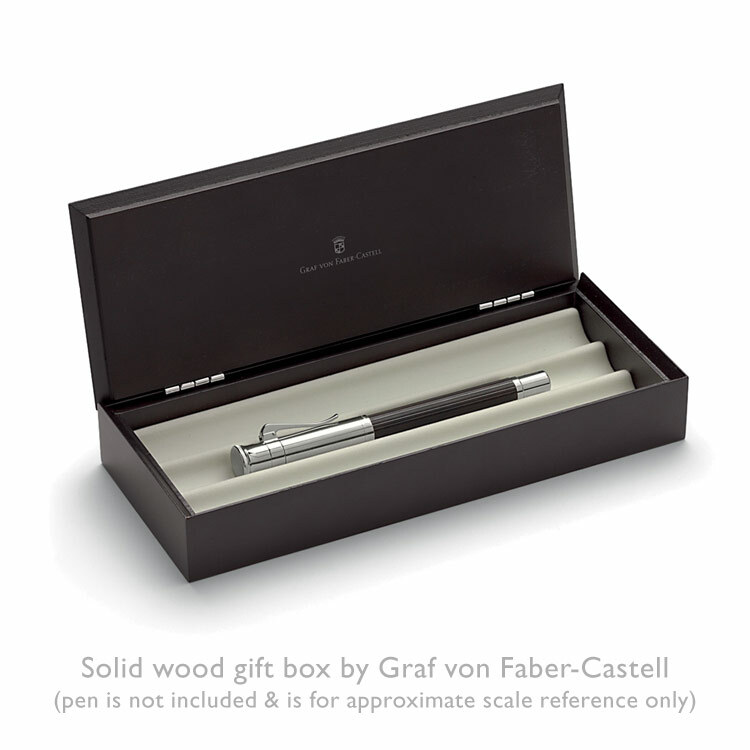 All fountain pens in the Graf von Faber-Castell collection have nibs made from 18-carat gold with an iridium tip although those for the Guilloche fountain pens are also rhodium plated on top. Manufacturing such nibs is an elaborate process involving over 100 steps, most of which are carried out by hand including the final stage of ‘running in‘. If purchasing, please use the drop-down list to choose your preferred nib width.